Hey readers, it’s Friday and today we have a cool news update for you. A free utility from StarWind got a new update. StarWind V2V Converter v9 build 110, which allows also P2V conversions, has been updated so now it can also convert vSphere RDM disks or introducing logging to text files, so you can better track application operations and simplify troubleshooting. The tool can convert different kind of VM images from one hypervisor format to another. For example from Microsoft to VMware or the other way around. Other hypervisors such as Citrix XenServer or QEMU are also supported. StarWind V2V Converter allows the conversion of VMs from one format to another, basically “cloning” them and keeping the original file intact. There is still the need for V2V or P2V conversion even if it’s less than in the past when virtualization just started. So it’s important to have a tool which keeps up with the technological evolution of all hypervisors on the market and provide us with different conversion possibilities. The StarWind V2V Converter is already in its version 9 and the folks at StarWind they keep coming new releases every here and there. 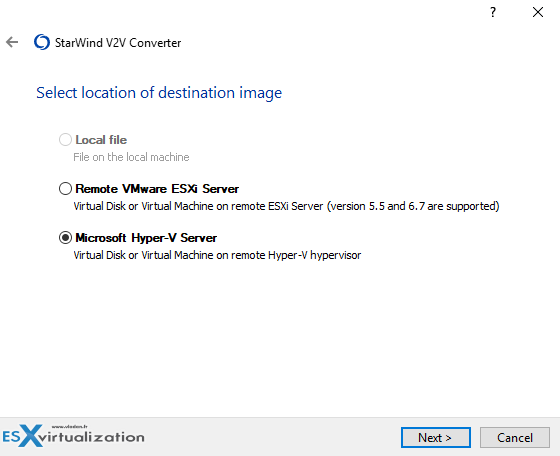 StarWind V2V Converter v9 screenshot showing the support of different hypervisors. What’s New in StarWind V2V Converter? Windows Server 2008 R2 through Windows Server 2016. Also, worth to note that the conversion does not alter the basic VM settings such as the number of CPU sockets, amount of RAM, the number of network adapters, and the number of disks. However, you’ll still need to reconfigure the network adapter in hypervisor after conversion finishes. 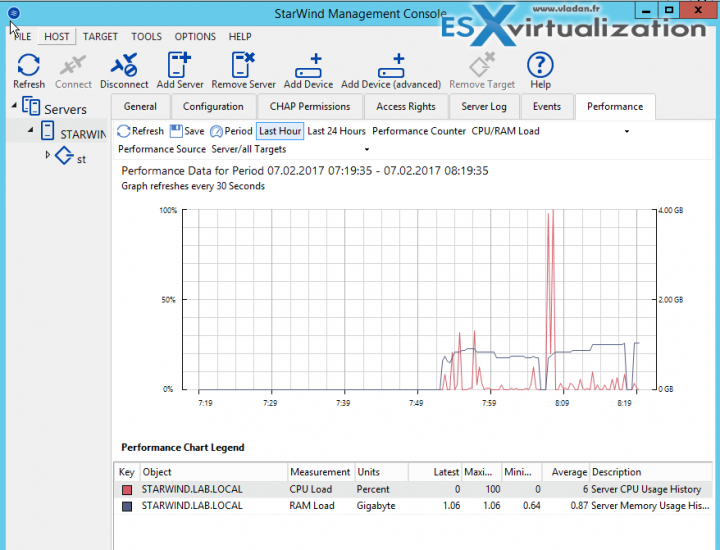 StarWind keeps improving their software tools and products all the time. Recently they started to experiment with NVMe Over Fabric by creating NVME-Of Target – How To Create NVMe-Of Target With StarWind VSAN. Super fast NVMe devices are hitting the market, but iSCSI was designed for spinning media. That’s why NVME-OF is the big thing in storage right now. NVMe-OF has lower latency than iSCSI and it’s faster and more efficient. NVMe-Of is a high-speed standard which takes advantage of huge IOPS provided by new NVMe devices. NVMe-OF Target designed by StarWind is one of the latest and hot storage technologies overtaking old iSCSI. They also improve their flagship product StarWind VSAN which also supports VMware VVOLS technology. Virtual volumes are object exported by a compliant storage system. 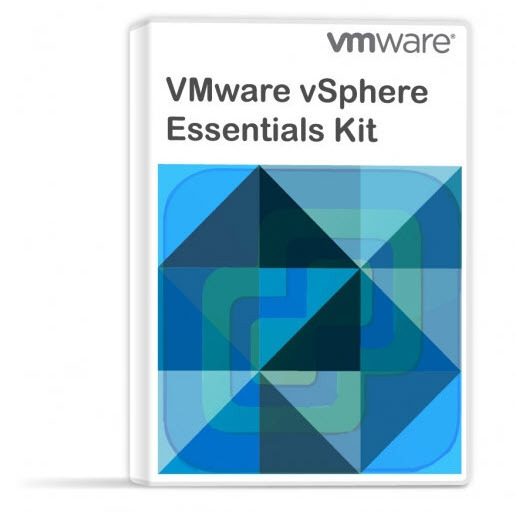 VVOLs correspond one-to-one with a VMs disk and other VM related files.